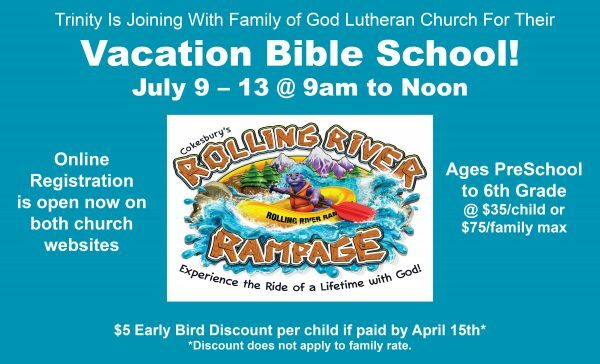 Trinity is joining with Family of God Lutheran Church for their Vacation Bible School! From July 9th to July 13th @ 9 am to Noon. Online registration is open now. Just click here to get to the registration details. 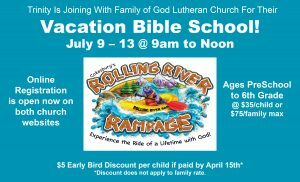 Ages Preschool to 6th Grade — $35 per child or $75 family maximum. 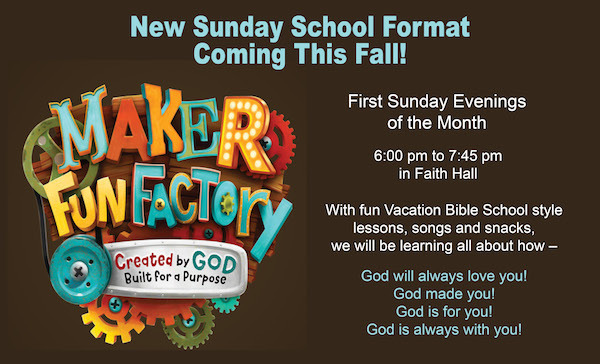 VBS is so popular at Trinity, we are now offering a VBS-style Sunday evening Sunday School on first Sundays, with all the crafts & games, skits & music and Bible stories that make Vacation Bible School a place “Where Kids Discover Love.” Please come and join the fun! 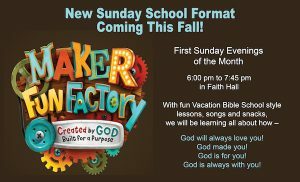 For children PreK through the 8th grade, and all are welcome! For more information, please contact Amy Bannon at amybannon1013@gmail.com or 215-766-4889.